With the power of personal genetics in your hands, you will reach your fitness and nutrition goals on the most personal level possible. -What is the right diet plan that suits you best based on your DNA. -Power/Endurance response and which sport to play. -exercise according to your personal genetics, with a personalized training plan. Whether you are a beginner with a passion for fitness or a professional athlete, we can help you achieve your optimal fitness level, ideal weight, and desired goals, plus ensure the continuity of your success under a scientifically approved test! 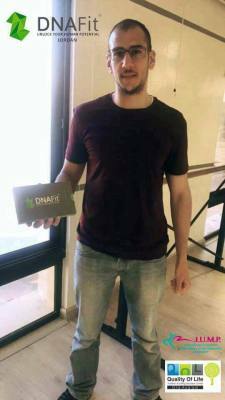 DNA test will change the way you think about fitness and nutrition forever! We’re DNAFit Jordan on a mission to change fitness and nutrition, one genome at a time. We are all different, and a part of this difference is as a result of our genetic profile. react to different types of exercise – we all interact with the environment in our own unique way. Nutrigenomics, with the aim of helping you train, eat and get the best results. 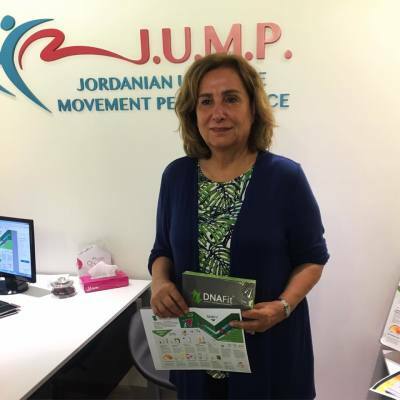 At DNAFit Jordan we focus our work specifically on these two realms of genetic science - Exercise Genomics & Nutrigenomics, with the aim of helping you train, eat and get the best results. You’re not the same as everybody else, so why follow everybody else’s diet? and intolerances, and make long-term sustainable change to live the best lifestyle for you. No short-term diets, no workout fads. 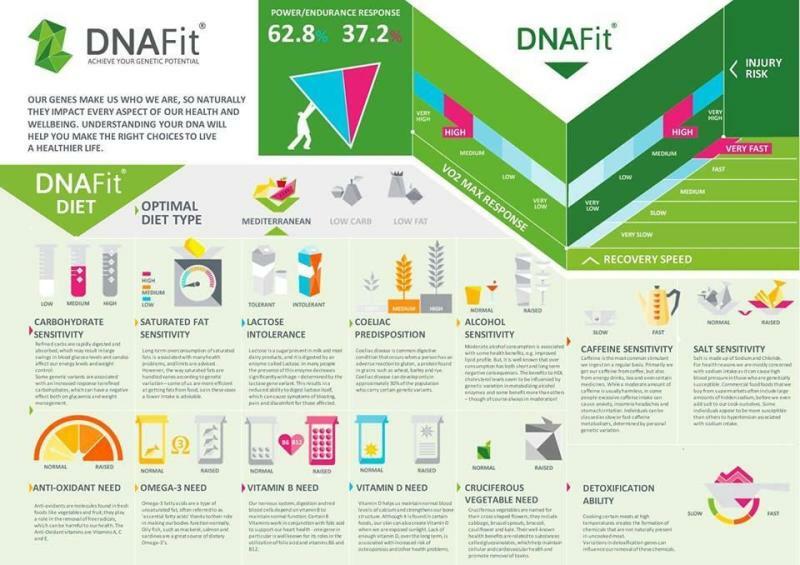 DNAFit Jordan provides a solid blueprint to help you make the best choices, for you. information about the best way to do it. You can’t be the best you can be, without the full picture. Get fitter, faster, and stronger. 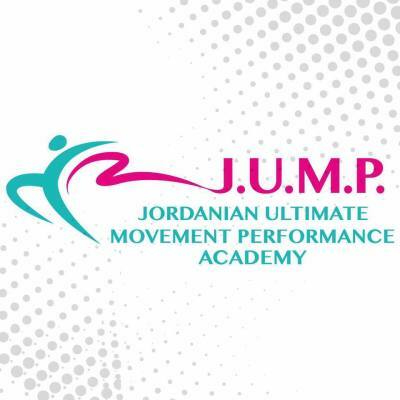 Unlock your true human potenal using DNAFit Jordan, no more trial and error for peak performance. Get all informaon how to train for your sport, turn the marginal gains into game-changing results. We help you be the best you can be with unique genetic insights. There’s a DNAFit version of you, let’s uncover it. It’s always the right time to make a positive change for your health and wellbeing. personal, not general - we help guide this with our simple saliva swab. place, they are currently working on a 100% accuracy rating. Is it allowed for children to do the test? Yes, there is no age for DNA testing for diet and fitness. Do I have to repeat the test again later in life? No, the DNA test is a one-time only test and you can use the results for the rest of your life. Is the test painful in any way? uses saliva not blood so it’s very simple to do it. Can I s&ll do the test if I am ill or pregnant? Does the analysis reveal anything about my risk of serious disease? No, the test we use does not look for genetic markers that indicate a risk of serious disease. Where can I do DNAFit test? 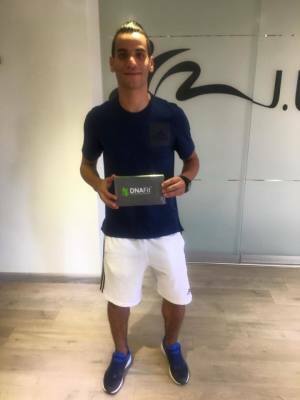 DNAFit test Jordan is done at JUMP Academy and Quality of life Center.